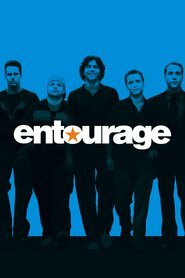 Grew up… as Vincent Chase’s best friend in Queens, N.Y. Eric, also known as E, is given credit for convincing Vince to pursue his acting career. Prior to becoming Vince’s business associate, Eric managed a Sbarro’s pizzeria back in New York. Living… with Vince in Los Angeles. Nearly every aspect of E’s life is intertwined with Vince’s. Not only does he live with Vince, he also lives for him: E is a dedicated friend who is always looking out for his friends, family and loved ones. Profession… Vince’s manager. E reads scripts and advises Vince on career decisions. E is Vince’s main personal confidant. While Vince has a lot of friends, E is the wisest, most level-headed, and most dedicated of the group. But unlike many, E is willing to tell Vince what he needs to hear, not just what he wants to hear. Relationship Status… single and looking. Vince and the others poke fun at E for being overly romantic, at least compared to his love-em-and-leave-em crew. While Vince, Vince’s brother Johnny Drama and their childhood friend Turtle are only looking for fun, E is looking for a woman that he can share his life with. Personality… loyal, protective and kind. E is not impressed with the glamour of Hollywood. He lives for his friends rather than his business. This doesn’t mean that E is soft, though. He can be an attack dog for Vince when he needs to be. Eric Murphy's popularity ranking on CharacTour is #4057 out of 5,000+ characters. See our top-ranked characters and read their profiles.